They use fresh chicken here, not frozen chicken. 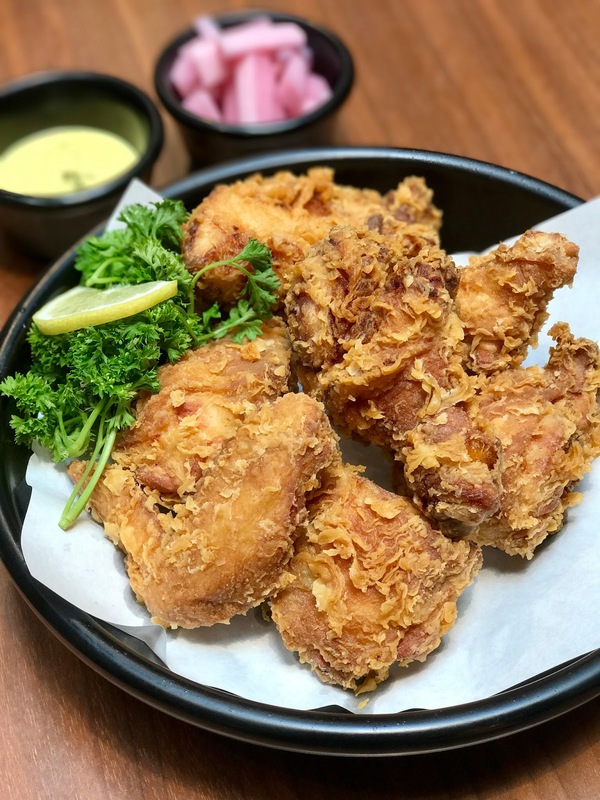 You can taste it in the way the chicken is wonderfully juicy despite the deep-frying. The batter is super crispy, so this makes a nice contrast when you bite into it. We did find the Original version a little on the bland side - we fed back to chef that it could use more salt or a stronger dip than the sweet Honey Mustard. 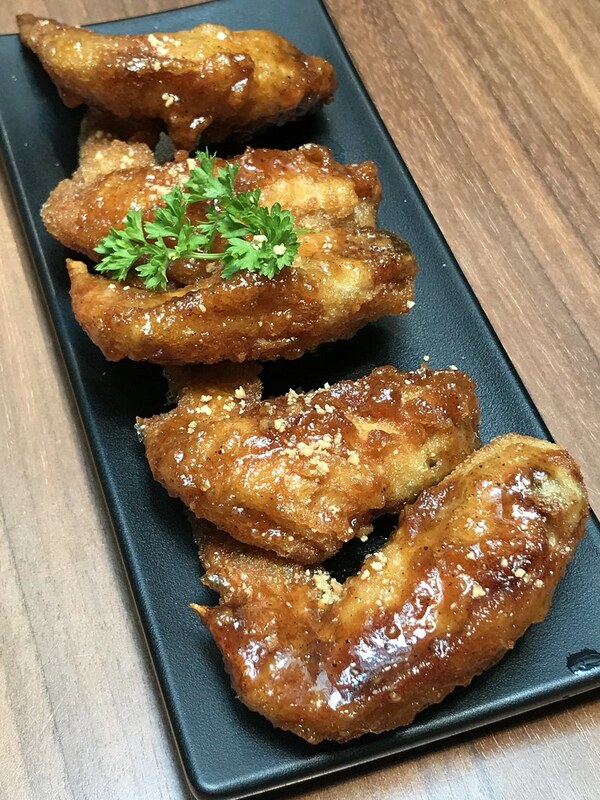 The Soy & Garlic sauce on the wings worked better as seasoning, but it does take away the crispiness of the original batter. I'd love to come back and try their Yangnyum (Spicy) or Cheese (sprinkled with garlic powder). 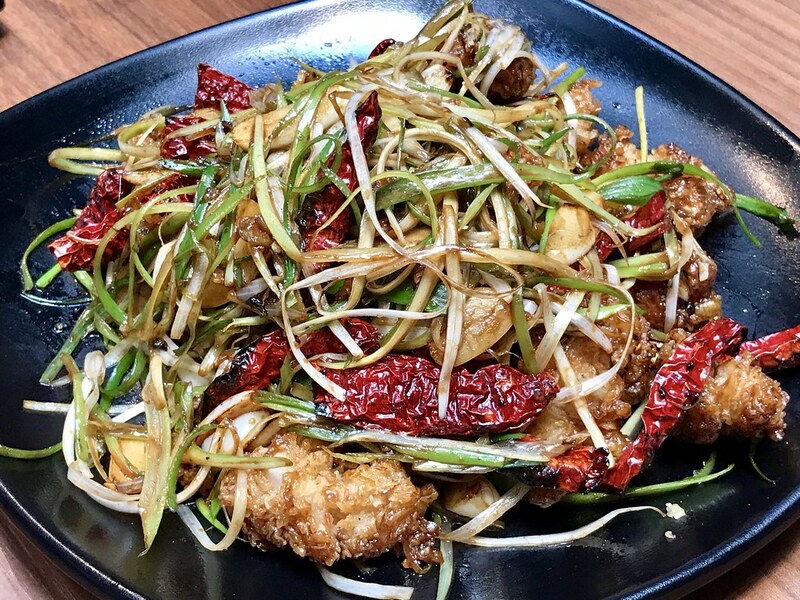 If you prefer boneless chicken, you can try their Soy & Lemon Kkangpungki (M S$22; L S$30) which is tossed in soy and lemon sauce, and topped with shredded leek, dried chilies and garlic. 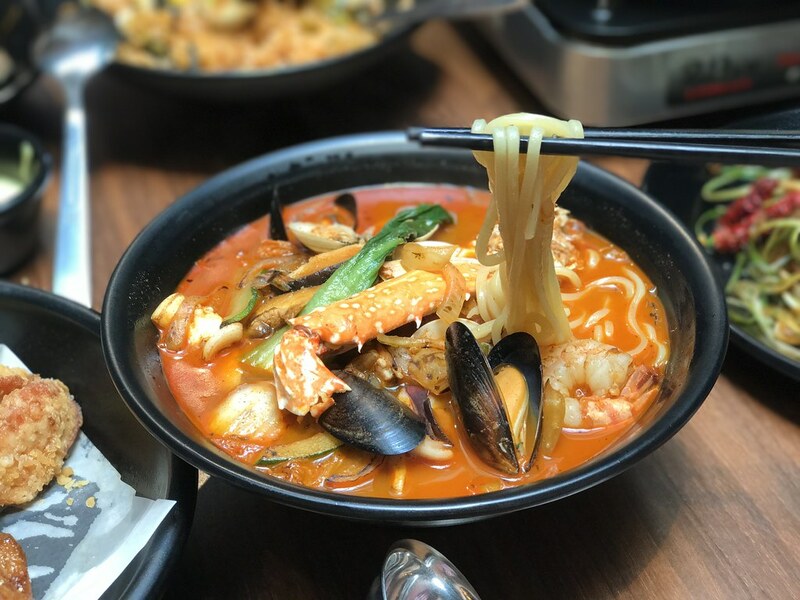 But what really impressed us was the Woo Jae's Seafood Noodles. The broth is incredibly umami with all the crab, clams, fish, shrimp, mussels and squid. I thought the chefs had laboured for hours over the stove to extract the stock, but no, this was a quick high-heat stir-fry involving vegetables and seafood (oh the lovely smokiness is delightful) and everything is then boiled with water. The opaqueness comes from the chili powder. It's so good. 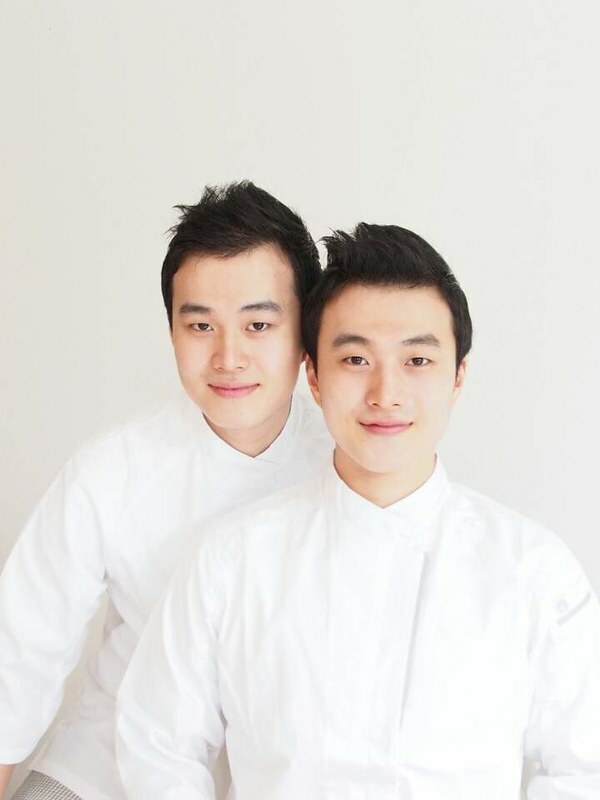 The chefs are also coming up with new dishes. 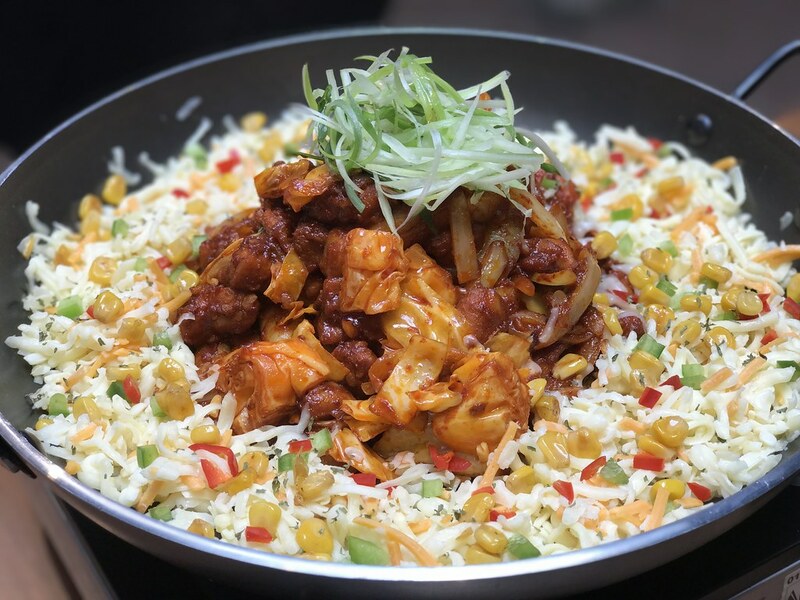 This is the Chicken Galbi, cooked on a portable stove right at your table. Watch the cheese melt. Of course, for dessert, you can have Bingsoo. 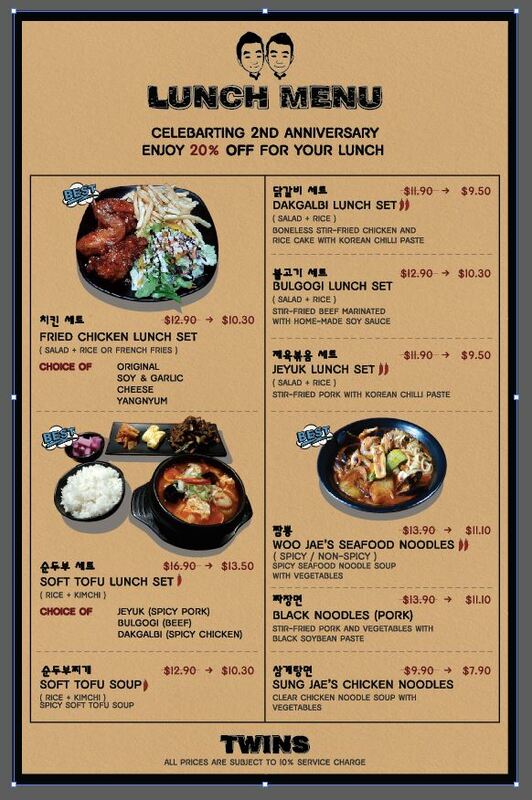 It's quite affordable here, from just S$10. 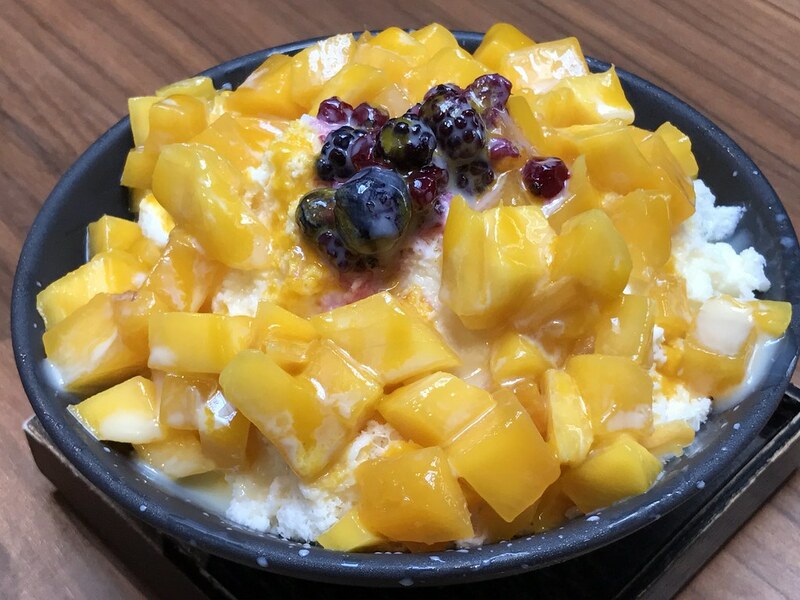 The Mango Snow Bingsoo (S$12) with generous mango chunks fed three of us quite well. 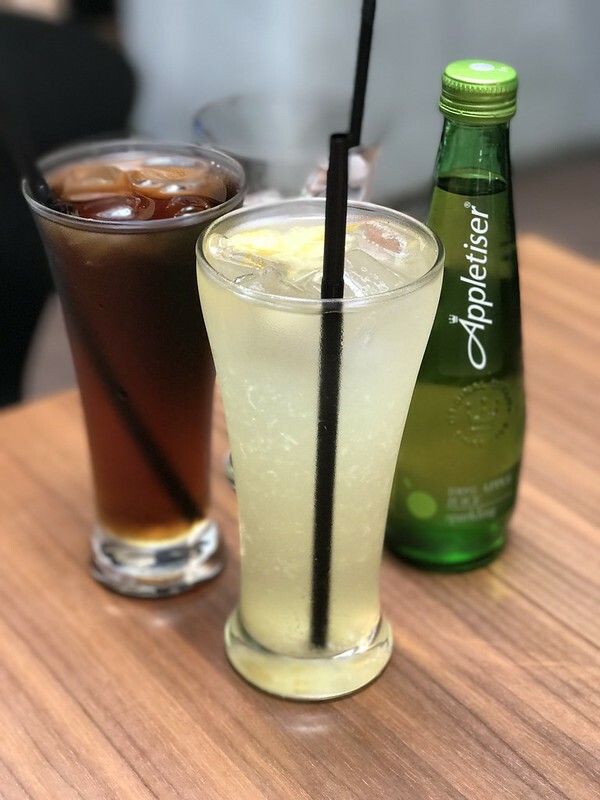 For drinks, try the Yuzu Tea or Plum Tea. There are sodas and orange juice too. It's minimalist industrial chic here. I do like the skylight which lets in natural light. 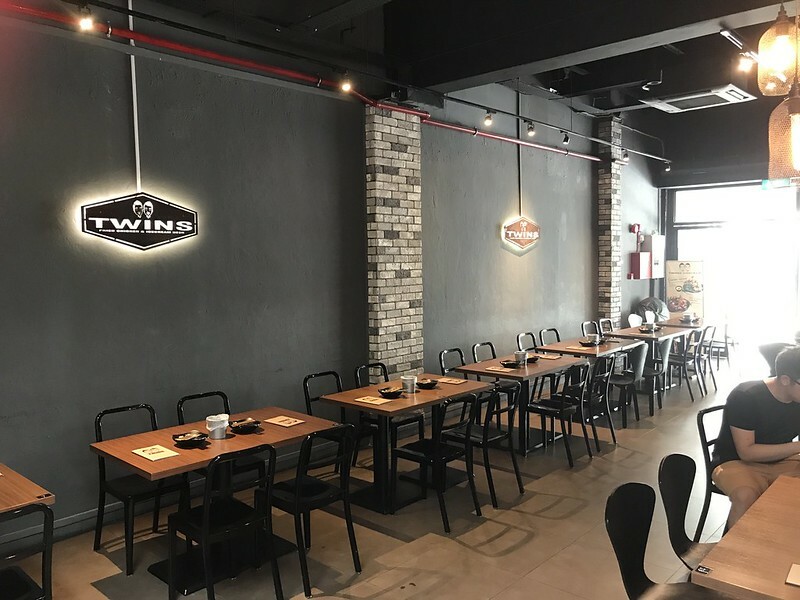 Twins is tucked in a quiet corner shophouse at 7 Craig Road, a pleasant respite from the busy main road. 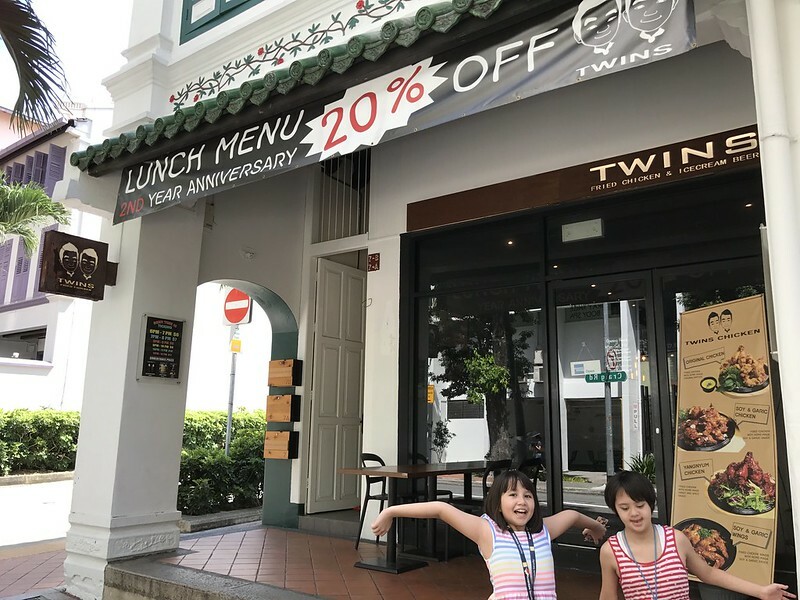 Come for lunch - there's 20% off with their anniversary! Many thanks to Twins for the invitation and hospitality!